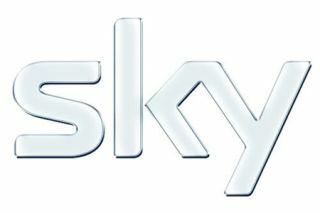 BSkyB posts 25% increase in operating profits | What Hi-Fi? BSkyB may have been in the news recently for all the wrong reasons, but there's no problem with its underlying financial performance. The satellite broadcaster's operating profit for the nine months to the end of March was up 25% over the same period last year, at a healthy £939m. And its average revenue per user was £546 in the first three months of 2012, up £9 from the same period in 2011. Sky says more than 3.2 million UK homes now take the 'triple play' of services from Sky – phone, TV and broadband – an increase of 24%. The company says it also grew its TV customer base by 15,000. Jeremy Darroch, Sky's chief executive, says: "I'm delighted that six years on from the launch [of Sky Broadband and Sky Talk] our customers are still responding in record numbers and that our sustained growth means we're now the nation's favourite TV, broadband and home phone provider." Meanwhile, the satellite broadcaster says it is engaging with industry regulator Ofcom in its assessment of BSkyB as a "fit and proper" holder of a broadcasting licence following the fallout from the phone hacking scandal at News Corporation, which owns 39% of BSkyB.